Managing a project is never an easy thing. There’s assets, liabilities, cash flow, the bottom line, revenue streams, and at the end of the day the question of success on the project. 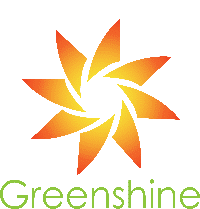 We’re fully equipped here at Greenshine to deliver success, and it’s targeted towards something that can reduce the bottom line for your city project: solar-powered street lighting. It may not be the most apparent cost-savings avenue up front, but we like to educate as well as inform. Here are 5 ways that lighting projects can save you money with this 3-minute read. Take your street lighting bill and reduce it by 20%. That’s often times the typical reduction percentage we can save cities and municipalities when it comes to street lighting. Solar is the secret to the savings, because we’re able to provide lights for public areas and streets without the need to dig a trench. We’ve even had some companies invite us to speak at their conferences in the past. It’s just a small example that we’re pretty good at saving money for companies when it comes to lighting projects. Believe it or not, installing solar street lighting actually comes with a wealth of benefits. Often times in sunny states, solar lights pull in excess energy that can be sold. An SREC (Solar Renewable Energy Certificate) can be yours if you decide you have an abundance of solar energy in your batteries and you want to sell it for money. It’s just another method of seeing the bottom line drop. That’s in addition to saving money up front without having to trench for wiring. If you want to save energy (and thus save money), it’s important to approach your street lighting from all angles. Using LED solar street lights is one of the best methods of lighting an area since the bulbs are energy-efficient, cheaper than alternatives, and utilize the power of the sun to light streets. Reducing energy usage puts money back in your pocket. One of the biggest bonuses with using LED solar street lights for public streets is that each light is independently powered. Imagine having a set of lights all interconnected with only a singular connection, and suddenly all the lights fail! Then there’s the effort of finding the culprit wire and digging to replace it. That doesn’t happen with solar LED lights. Your street will remain lit (and commuters will remain safe) because each light utilizes its own power. No wires, nothing to cut or dig for. If it’s the case a light does fail, then replace only that particular light. “Going green” sometimes has greater benefits than initially thought. Sometimes cities and municipalities get significant attention from utilizing renewable energy technology. There are even state-backed opportunities to earn money for going solar with your street lighting. Earn money and gain a little fame in the process–it’s a powerful dual-benefit. We hope this quick educational post “sheds light,” so to speak, on the benefits of using LED solar street lights. Contact us to learn how you can reduce your bill and stay in the green.